Watch this step-by-step guide to making Honey Bee Biscuits! 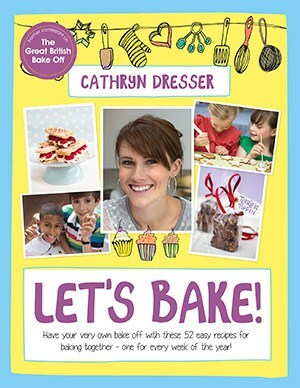 There’s a new book out now called Let’s Bake, perfect for children and families who fancy doing some baking. It’s written by Cathryn Dresser – from The Great British Bake Off – and is full of 52 easy-to-follow recipes to help you make everything from White Rabbit Cake to Feta Triangles! It’s all explained with step-by-step instructions and pictures so anyone can bake – even if you’ve never baked before! To give you a sneak peak, here’s Cat with our presenter Joe in the Fun Kids Kitchen showing you how to make Honey Bee Biscuits!